Over the last decade, treatments for disordered gambling have developed rapidly. 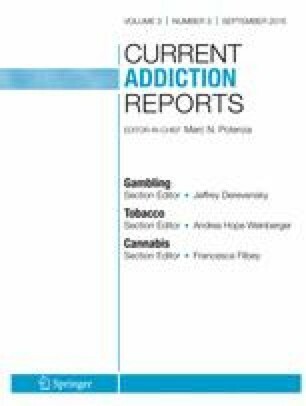 The goal of this paper is to review and to critically evaluate the literature published on the treatment of disordered gambling in the past 3 years. Important findings are emphasized and accompanied by the authors’ personal observations on controversial results or hypotheses of interest. Cognitive-behavioral interventions have been evaluated in treatment of Hong Kong Chinese individuals as well as in combination with mindfulness-based approaches. Personalized-feedback interventions have received increased attention, with brief treatments demonstrating overall efficacy. Pharmacological treatments continue to receive only limited support. On the other hand, web-based treatments appear to show promise. Igor Yakovenko and David C. Hodgins declare that they have no conflict of interest.